Amusing Italian striker invents his own new game. 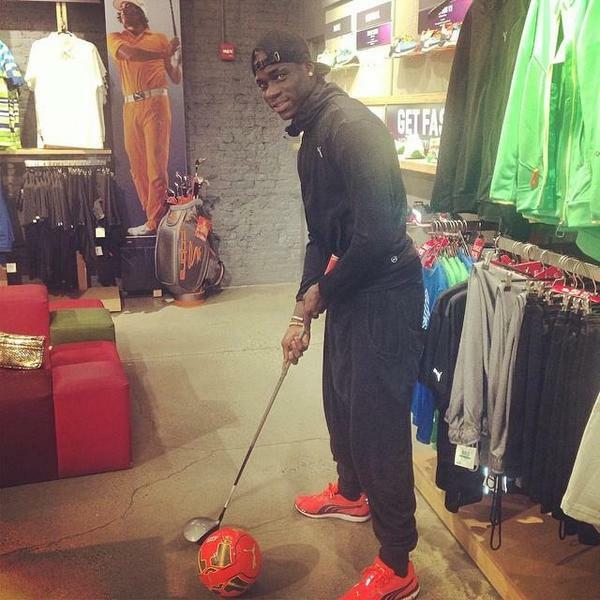 AC Milan striker Mario Balotelli has been at it again on social media, being photographed playing his own amusing variant of golf…with a football. The controversial Italian international is not known for playing by the rules, and perhaps felt his version of the game was more fun, as he is seen messing around in a sports shop.